Thundercat's "Them Changes" is a funkily squelching song about heartbreak, but the accompanying video takes the concept of loss in a very different, far more literal direction. 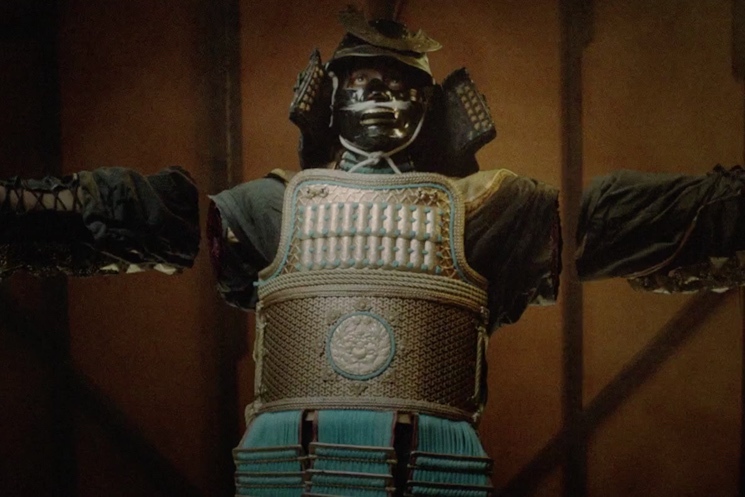 Directed by Carlos Lopez Estrada, the clip focuses on a basement sword battle between two samurai warriors clad in full-body armour. One of them gets badly disfigured and must adjust to life without his arms. Meanwhile, Thundercat himself appears in a infomercial as the man watches television. "Thundercat's take on heartbreak is so atypical that I figured the video for the song should be anything but a classic relationship-gone-wrong story," said Estrada in a statement. "Stories like athletes' careers ending after injuries or artists losing their site/hearing/ability to perform; these concepts are truly heartbreaking. I also know that Thundercat has a thing for samurais — so I saw an opportunity to make everyone happy here. Or everyone sad, I guess." Watch the clip below. This song comes from the recent The Beyond / Where the Giants Roam. See Thundercat's tour schedule here.